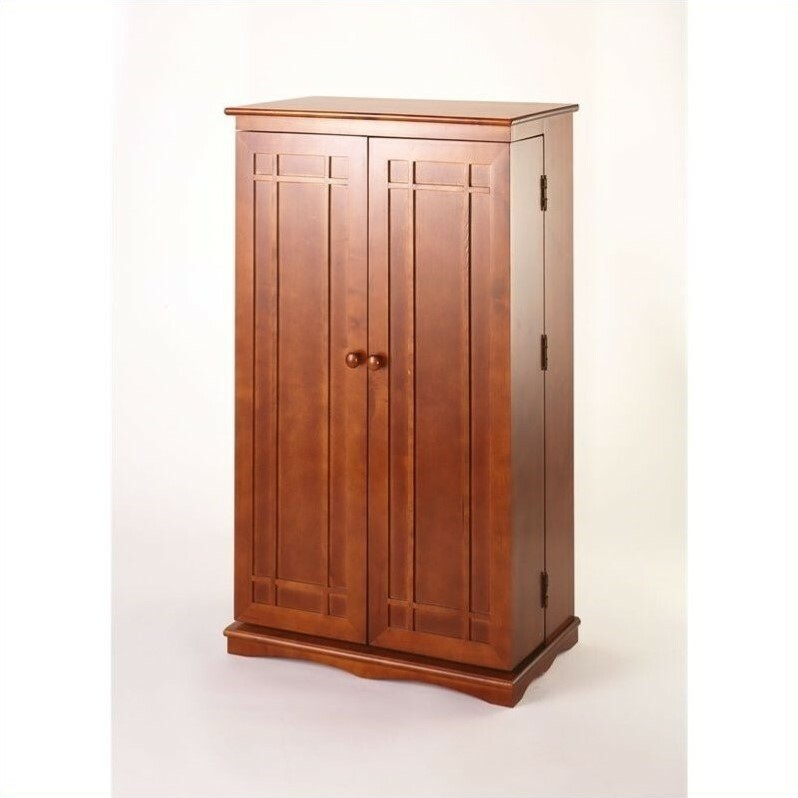 The Walnut Media Storage Cabinet is distinctly transitional and has clean, simple lines enhanced by a warm wood finish. Inspired by the Arts and Crafts movement, it features a gently scalloped apron and door fronts with decorative trim. Stylish and appealing, this media cabinet will comfortably hold a small-to-medium sized collection.